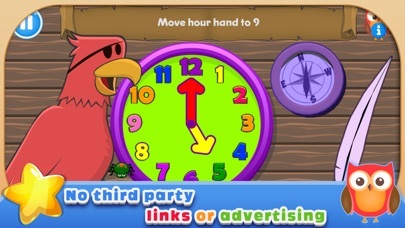 EduGuru 3-5 Maths offers eight simple games to support the development of math concepts in preschoolers, including counting, shapes, time, money, simple computation, and more. EduGuru 3-5 Maths is a high quality app that works exactly as expected. It’s responsive and entertaining for preschoolers. Most of the games operate on a drag-and-drop or a tapping interface, which will be easy for children in the target age group to learn, yet there is an array of tasks that accomplish the goals so things won’t become boring. The parents area contains good information about what skills are covered in each game and also explains some about why these skills are important. 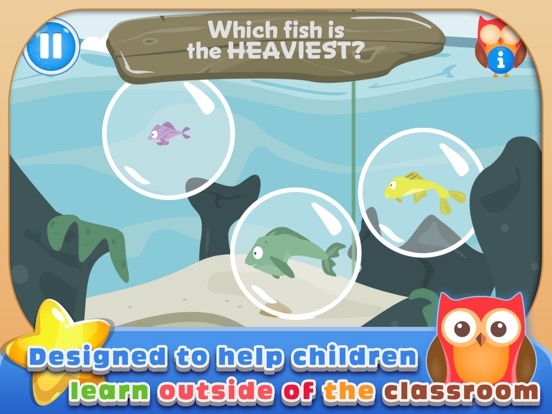 This app provides a nice, well-rounded foundation for practicing a number of crucial math skills with preschoolers. 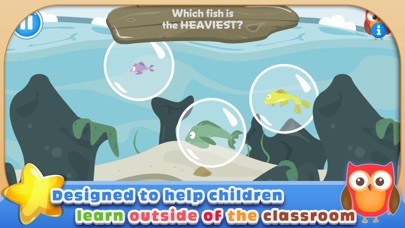 Hands-on learning is very important in this age and stage, and apps such as this are one way of helping kids learn. 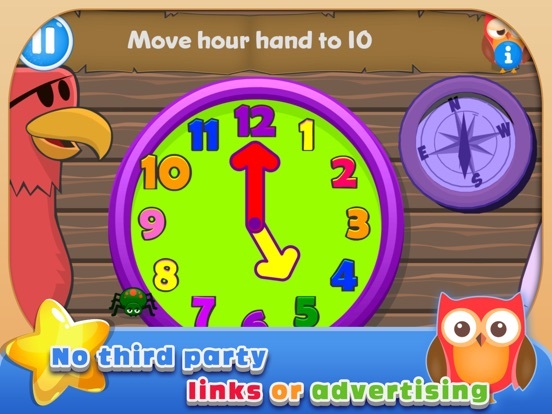 The app includes 8 games that cover skills in counting, number recognition, number sense, concepts of relative size, simple computation, time, money, geometry and more. 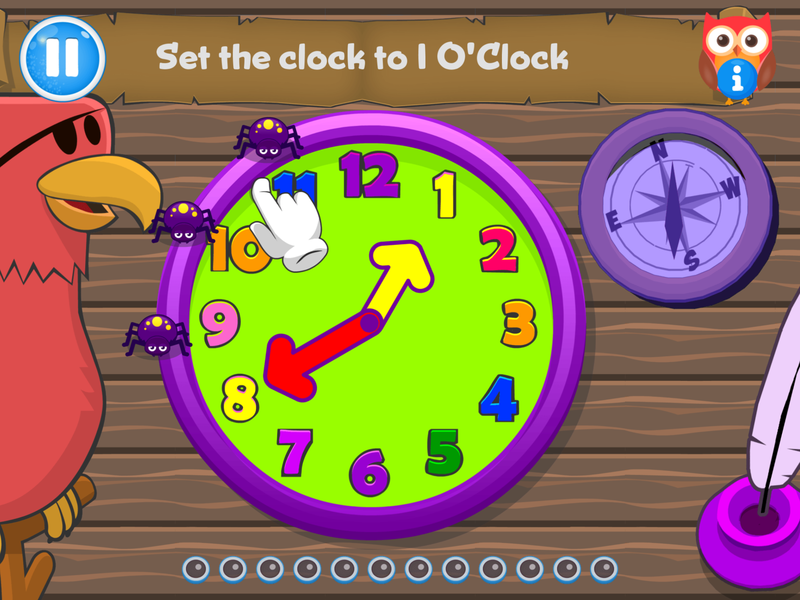 Each of the games is centered around a kid-pleasing theme, such as outer space, farms, and pirates. 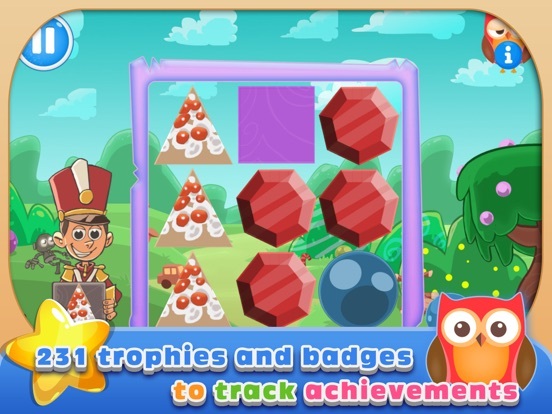 The first and easiest level of each game is available when the game is first used, then additional levels are unlocked as players achieve prerequisite scores, which helps the game adapt quickly to a child’s age and ability. 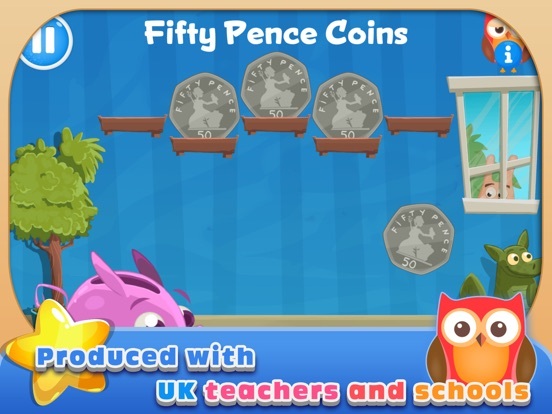 American parents should be aware, however, that this game is from Great Britain, and while it includes a nice section on coins and money, the currency being used is the Pound, not the American Dollar. This is not likely to be too practical for children in this country! The rest of the app, however, more than makes up for the minor shortfall in the money section. Developers did a good job of choosing themes for the games offered in this app. Each one seems to be more of a kid-pleaser than the last! It’s easy to switch between the Meadow, the Solar System, the Pirates, and the Fishing Hole, as well as a few other popular themes besides. 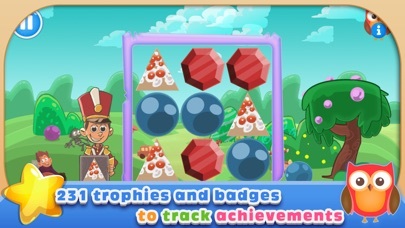 The games are all easy to play, and players earn special badges for completed levels and accurate work. This app is a good value at $1.99 in the App Store. 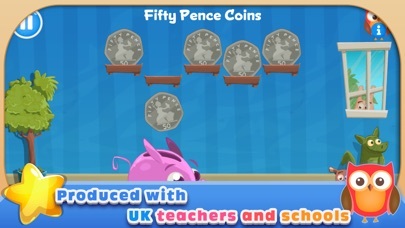 Kids will be able to play for quite a while as they progress through the levels in each topic. They will even get some beginning instruction in more challenging skills, such as multiplication and division. With all of the topics and levels available, this app will have a good long useful life. This app is very child friendly. Young children could, however, find their way to the page that shows apps that developers are planning to launch in the App Store at a later date. There are currently no active links on this page, but it would be wise to monitor the situation. The recommendation would be for developers to protect this area with a parent gate if the links are to made live at a later date.